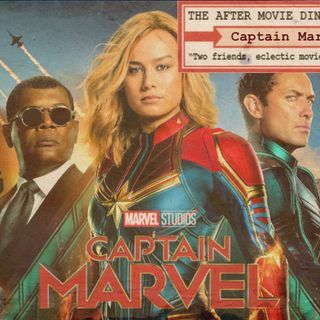 Explícito Ep 277 - A catch up with the MCU, Captain Marvel and more! This week our regular comic book collaborator and all round good chap, David DeMoss is back with us for the first time since Black Panther talking about the MCU, Thor: Ragnarok, Avengers: Infinity War, internet outrage, movie criticism, feminism, superheroes, Captain Marvel, politics and so much more. This is an old-school Diner behemoth, 2hr 30 plus podcast extravaganza!! All opinions contained within are our own, if you disagree, agree or have something to say - then let us know!